Mr. Britt’s Gr. 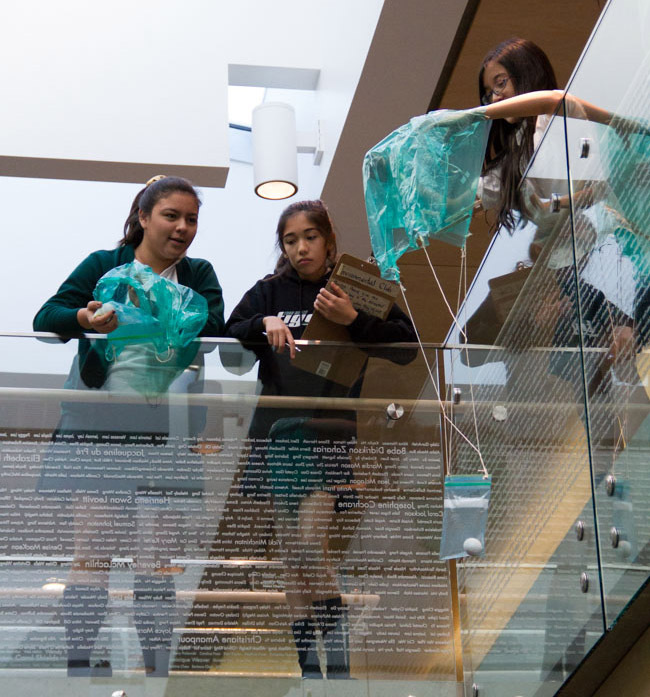 8 Science class demonstrated an important concept in Physics – force (gravity) and resistance (drag), in an egg parachute experiment. The class was challenged to deliver an egg safely to the ground, by making a parachute out of a plastic bag. The largest parachutes (more resistance) should fall the slowest and cause the least amount of damage to the egg. Watch them test out their parachutes in this video clip.